More than six months after recommending a three-block area of the Boulevard be declared an area in need of redevelopment, Seaside Heights Mayor Anthony Vaz said the borough has directed its attorneys to figure out the “next steps” toward cleaning up derelict buildings that are often the source of complaints from residents. The effort centers, primarily, on two buildings: the former Merge nightclub and a steel structure that represents the bones of an earlier effort to improve the borough’s main street. The entire area covered under the borough’s proposal includes several lots between Franklin and Sumner avenues. The former Merge building, its roof caving in, is owned by John Saddy, who also owns the Bamboo Bar and Karma nightclubs. The steel edifice is owned by Vincent Craparotta, whose family operates Hemingway’s Cafe nearby. 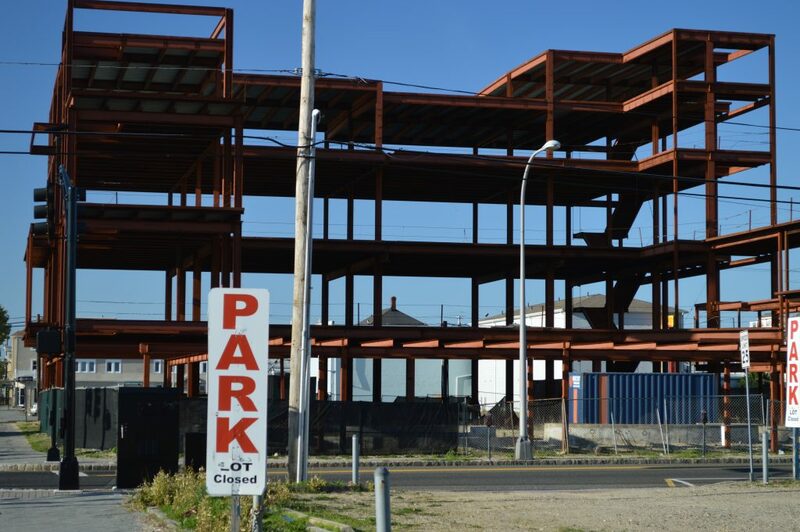 The steel structure has remained free from any potential local efforts to condemn it under a state policy approved in the aftermath of Superstorm Sandy stating that permitted construction projects during the pre-storm era could keep their permits despite earlier expiration dates. In June, the administration of Gov. Chris Christie extended the policy another year, however officials question whether the policy should apply to the building. Craparotta has previously said he wishes to build something at the site of the steel structure, but was waiting for the borough to tell him what he could, or could not, build there. No building plans have been filed with the borough, however. Attempts to reach Saddy were unsuccessful. Seaside Heights last year hired a redevelopment consulting firm to help it through the process of rejuvenating the Boulevard. Vaz said the planning board signed off on its approval of the redevelopment declaration for the three-block area. 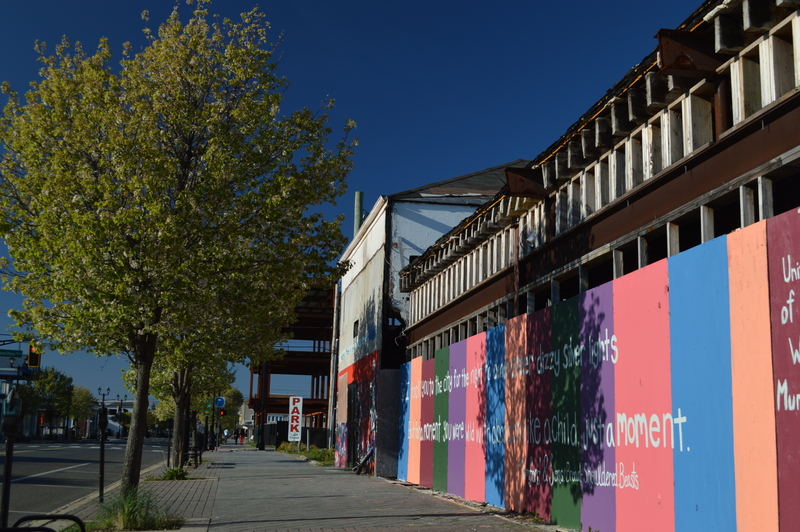 Under state law, declaring an area to be in need of redevelopment is one of the ways in which a town could prepare for condemnation proceedings against blighted properties.